Alice was seperated into Existance and Fighting loads, lacking the integrated buttpack of the previous systems. The fighting load was like before, using the Alice slide clips to attach accessories. The existance load was a seperate medium or large rucksack that could be used with or without an intergrated frame. A small pack was planned but dropped before implmentation of the system. The Primary color is OLIVE DRAB GREEN, of course. However in my experience some of the very early items had the borders in slightly different colors. 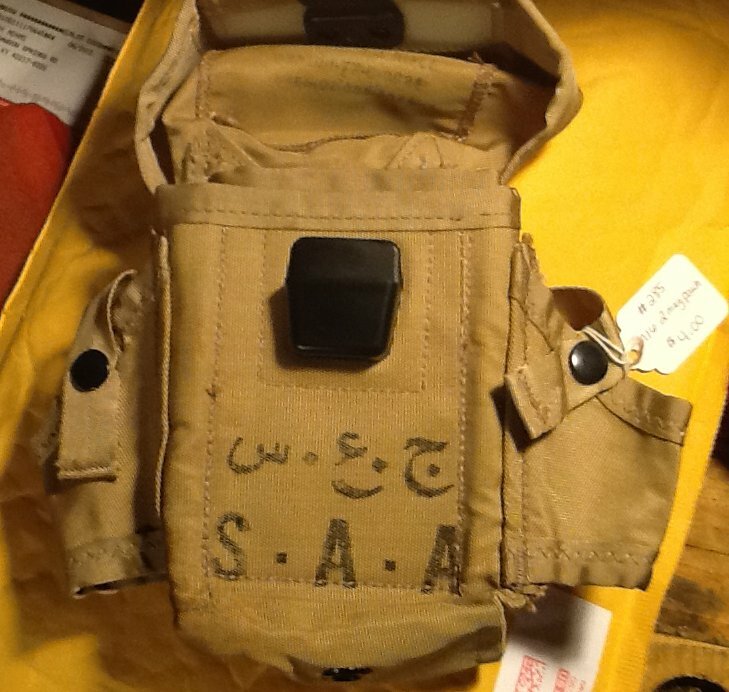 There is Alice LC-1 gear in the DESERT TAN color which traditionaly has been hard to find (Some was provided to the Saudis), (Link to Saudi Soldier with Tan Alice gear) But recently some of it has surfaced other places. Some of it is definately commerical made. 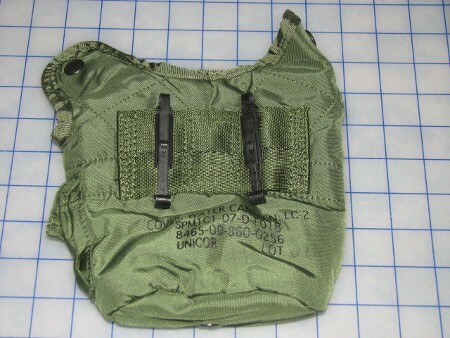 However the USAF Security Forces are known to have purchased this commerical tan Alice gear outside of usual channels for use in the middle east. 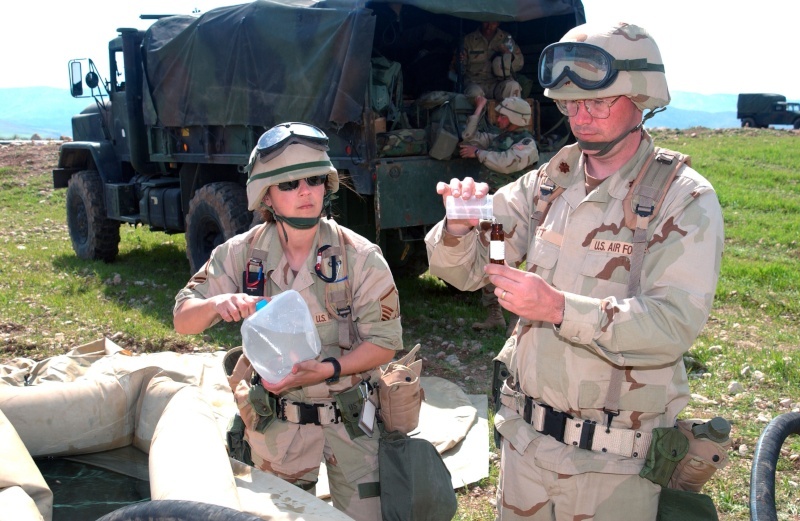 (Link to USAF personel wearing TAN Alice gear) There also are a scant few items in WOODLAND CAMO for the IIFS system. This is the LC-2 belt, quick release type. An improvement over the brass buckle type with a quick release button. Otherwise it is the same. This buckle can be a little prone to breaking when well used. This is the last design Alice pistol belt. The adjustment was changed to make it adjust easier. The LC-2 designation was simply dropped. 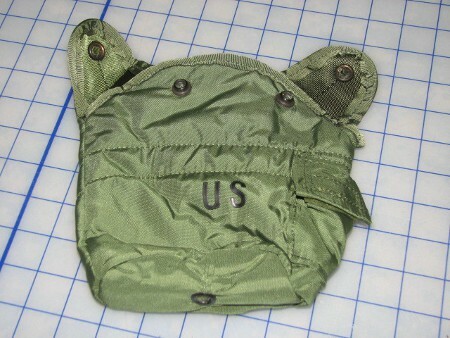 Initially in 1989 this was issued with the green type quick release. Then in 1990 with the new IIFS it was changed to the black buckle. The other base core of the system, The Y suspenders replaced the earlier M1956/M1967 H suspenders. Has an attachment point on each shoulder but I don't like anything on my rifle side shoulder. A lot of folks say the H type spread the weight better, but I like the Y suspenders. 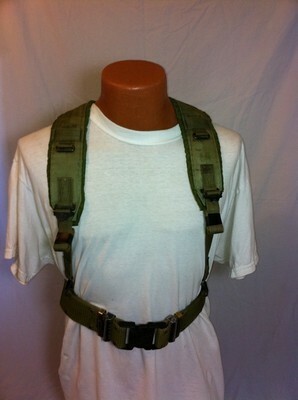 The strap goes right between my shoulder blades and keeps the weight off them. Which I supose was the point. 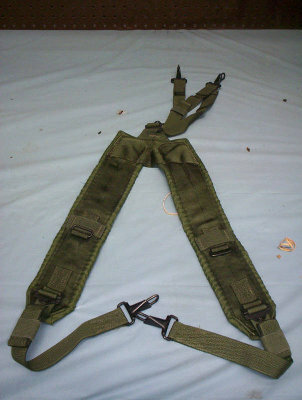 The older H suspenders are compatible if you would like. 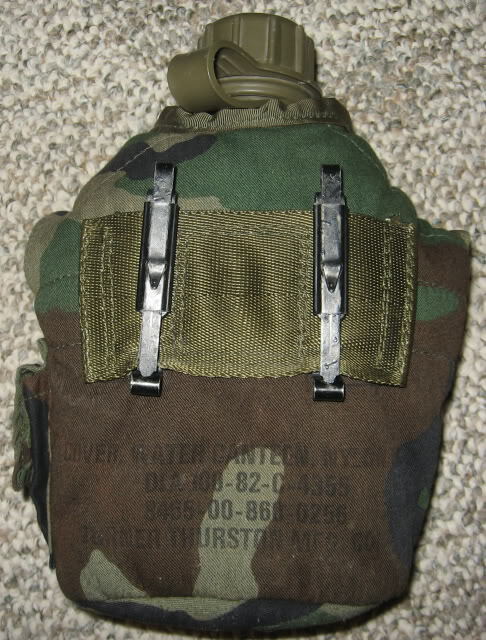 Holds three 30 round m16 mags inside with dividers, or two M14 20 round mags inside with the straps cut out. Outside pouches are for gernades. Now obviously we can't have real gernades so, put demilled ones in there LOL. 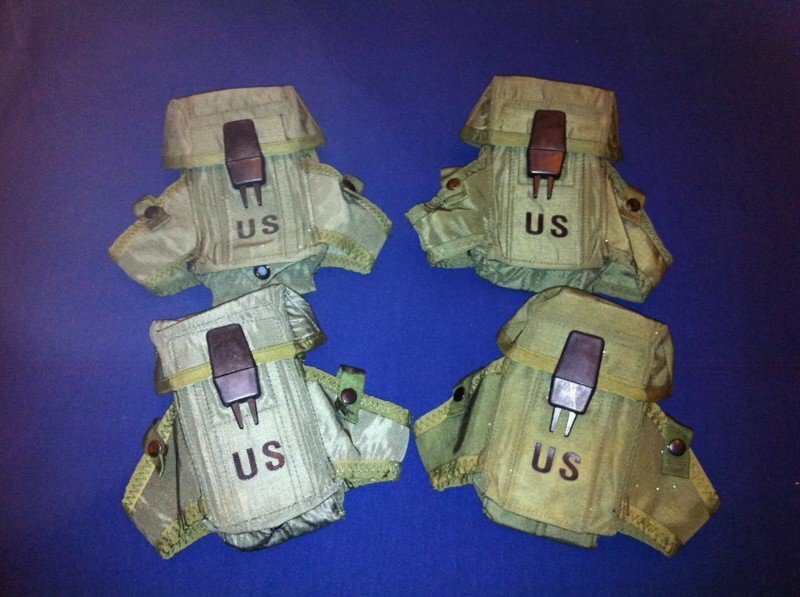 Or the right angle USGI flash light fits in them, or a lot of things. I generaly compress the gernade pouches in and pack the alice items close in. Cut those freaking straps out of the pouches. Even with m16 mags they are damn annoying! An extremely scarce item in the states, Only exists in desert tan. 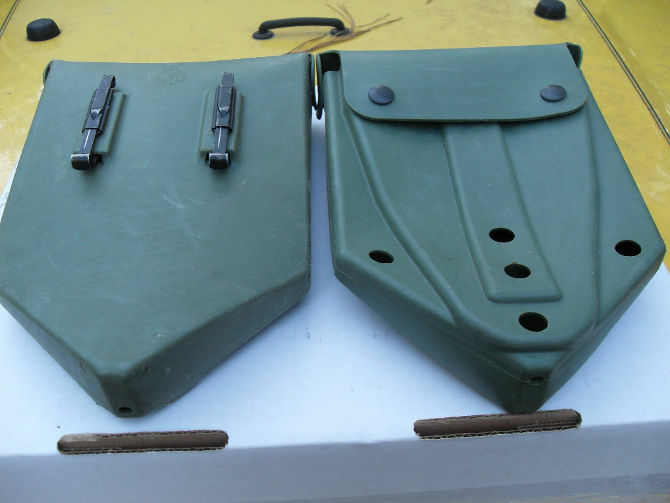 This was made for the Saudi's G3 7.62 rifles and holds two mags. If you have one, let me know and I will buy it from you! 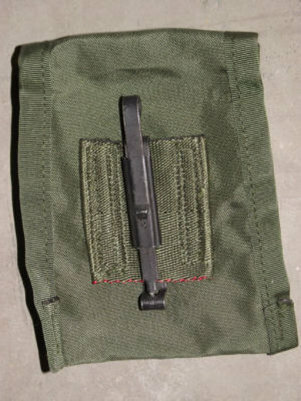 Soft plastic E tool pouch, Holds the M1967 folding E tool. This is the only thing from the basic fighting load I ditch. Not because the holder is bad, it's good. It just can't be used for anything else. I mean, How many holes do you dig in your field gear? 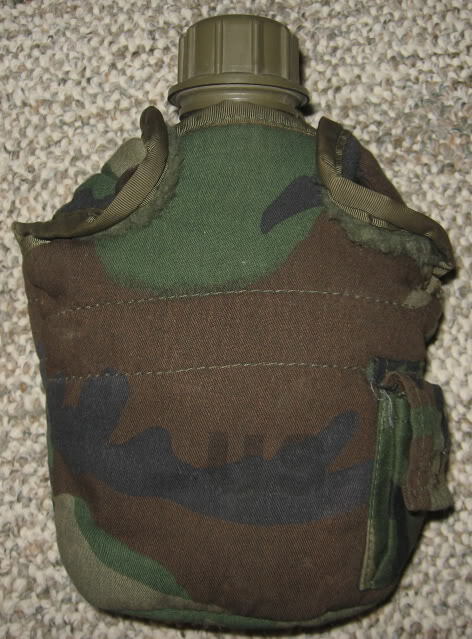 I would rather have a second canteen or other items in it's place. Most grunts put this on the ruck, even though the offical instructions said to put it on your left hip. 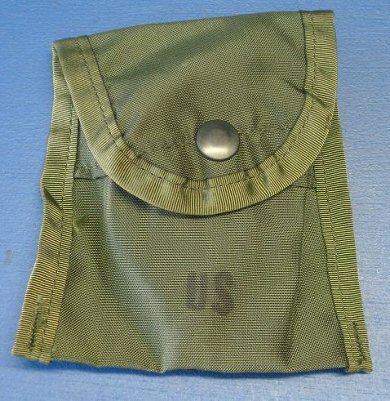 If they made this now, they would surely call it a Cell Phone pouch, they did not have cell phones that small back then so officialy it's a field dressing pouch. Often called a compass pouch too. I have lots of these, they are small and can be attached anywhere there is extra space. When used with a field dressing, most grunts would have it upside down on the suspenders. So that one downward motion would open it and catch the bandage.